We are the leading manufacturer and supplier of Pressure Vessels for Cement Industry to our valuable clients. 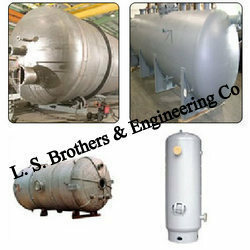 We are counted as one of the leading manufacturers, suppliers and exporters of the optimum quality Pressure Vessels. 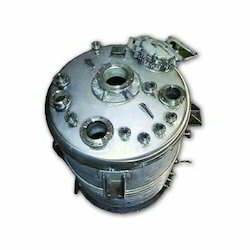 Manufactured as per the industry laid norms, the rendered pressures vessels are manufactured for storing air at ambient pressure. Their ability to handle high pressure makes the pressure vessels highly demanded. Available in 456 standard sizes. Diameters ranging from 10" to 120"
Valued as a reliable manufacturer, supplier and exporter, we render the premium quality of Pressure Vessels for Cement Industry. 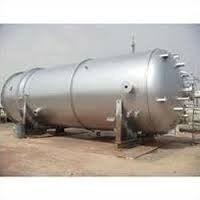 Manufactured as per the industry laid norms, the rendered pressure vessels are known for their optimum storage space and durable construction. 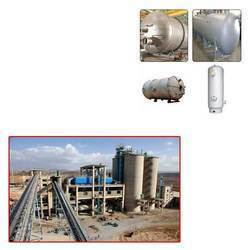 Besides this, pressure vessels for cement industry are known for their excellent thermal stability.